Probably my favorite present I got for Christmas this year (besides my Kate Spade bag/wallet of course) was my kitchen ninja “master prep” food processor. I am obsessed. Thank you Mom and Dad. I never knew how much I was missing out until I got it…and now I have no idea how I survived cooking for the three years prior to having it. Lately I have been trying to do more homemade food, as opposed to buying. I have been making Onyx homemade dog treats (which is actually saving me so much money), and I have also started experimenting with making my own salad dressings. Here is a bomb ‘Red Wine Tomato Vinaigrette’ dressing that I am loving at the moment. ***I keep mine in the fridge so it will hopefully last longer! Pour over veggies or salad of your choice and enjoy! 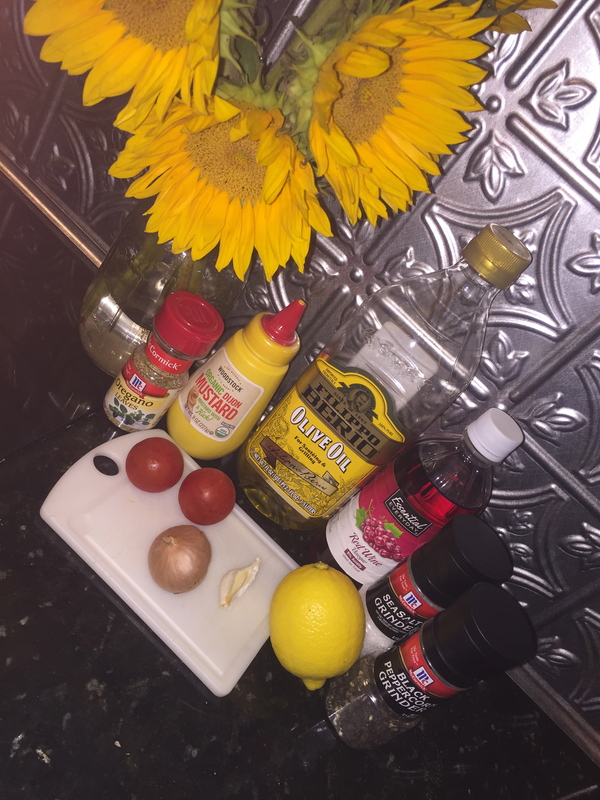 Posted in UncategorizedTagged #Cook, #Homemade, BellinisToBlooms, DijonMustard, Dressing, EVOO, FoodProcessor, Garlic, GlutenFree, KateSpade, KitchenNinja, Lemon, Recipe, RedWine, Salad, SaladDressing, Shallot, Tomato, Vegan, VinaigretteBookmark the permalink.